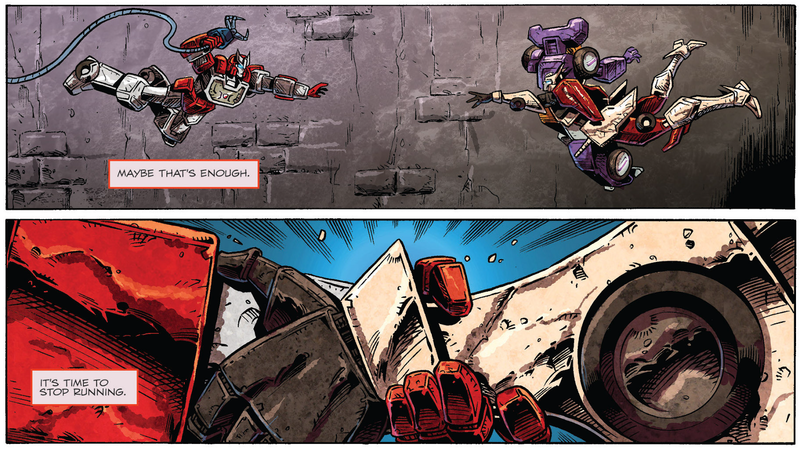 Science's Less Accurate Grandmother: Review: The Transformers: Drift: Empire of Stone by Shane McCarthy, Guido Guidi, Stephen Baskerville, et al. 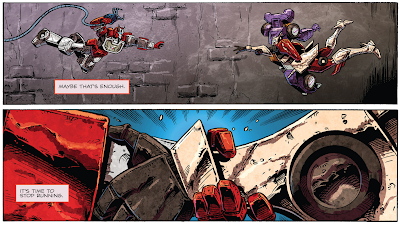 Review: The Transformers: Drift: Empire of Stone by Shane McCarthy, Guido Guidi, Stephen Baskerville, et al. I wasn't a very big fan of Drift when he was introduced in All Hail Megatron, finding him a bit of a stereotypical tortured-man-with-a-dark-past-and-also-he-has-swords. Except he was a robot. I really warmed to him in More than Meets the Eye, though, which used Drift's spiritual awakening in his self-titled miniseries (which I actually haven't read) to reinvent him as an optimist, creating a sort of Kirk-Spock-McCoy-esque trinity with Rodimus and Ultra Magnus. 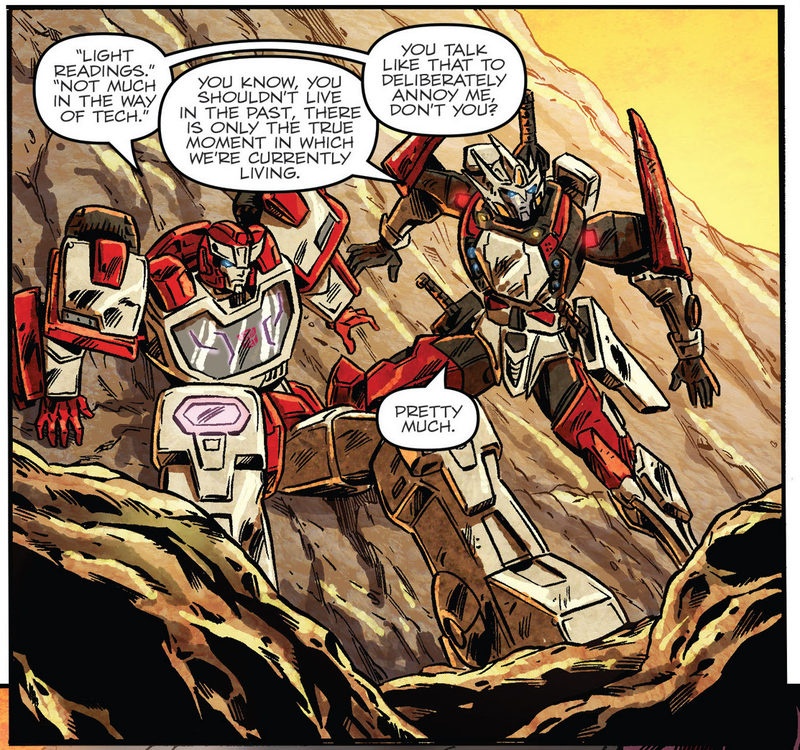 But in volume 4, Drift was exiled from the Lost Light (taking the fall for something Rodimus did), and in volume 8, Ratchet set off in search for him. Empire of Stone shows what the two get up to together, as Drift tries to discover where he fits in the universe. Also he's a little dismissive about Roberts's take in the book's extras. 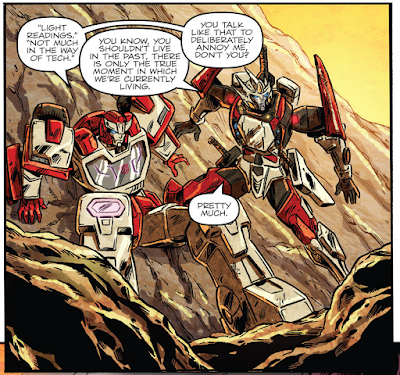 Though it has some high points (I liked the somewhat dumb Decepticon that Drift and Ratchet befriend), this is a pretty standard loner action story: Drift comes to the site of an old mistake, Drift angsts a bit, Drift redeems himself, stuff blows up. The best part is Guido Guidi and Stephen Baskerville's very dependable artwork. They do a good job in making clear storytelling and sharp action sequences, even if McCarthy's writing means there's too many action sequences. Gotta love that melodramatic narration. The best part of the book is that though by the end Drift is still too cool to be either a Decepticon or an Autobot, he is coming back to the Lost Light, so he'll soon be back in the much more capable writing hands of James Roberts. In Two Weeks: Meanwhile, on Cybertron... Optimus Prime seeks a little bit of Punishment!